● Enjoy up to 70% off items featured on the Clearance Outlet. ● If your purchase is not up to your expectations, you can return the product for a refund or exchange within 30 days of receipt. ● Sales and discounted products that can save you as much as 70% are promoted right on the homepage. ● With items eligible for Easy Order Refill, you can select to receive the products you use most every 30, 60 or 90 days with free shipping and without ever seeing a price increase. ● Take part in the Rewards program to enjoy 5% off every order, flat-rate shipping at $4.99 to anywhere in the US and other special offers. AmeriMark is an online shopping catalogue that offers a wide range of merchandise. The inventory can be accessed through the navigation tabs at the top of the landing page. This site sells everything from women's apparel to flower bulbs for the garden. There is a red clearance tab that is located at the bottom right hand corner of the landing page that has all of the clearance items listed. There is extensive inventory listed on this site that can be searched using the search box at the upper right hand corner of the landing page. There is a toll free number to contact customer service. 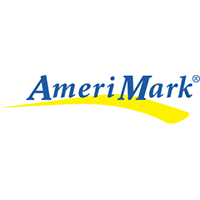 For most up to date offers check out Amerimark.com on Facebook and Twitter or contact Amerimark.com Support for any questions.